Vikas Chawla is the Co-Founder of digital marketing startup, Social Beat. He is a recently turned entrepreneur with experience in diverse functions ranging from marketing, sales and HR. Vikas is an alumni of London School of Economics where he completed his Master’s in Management. He holds an Executive post graduate degree in HR from Loyola Institute of Business Administration and a graduate degree in commerce from Loyola College. 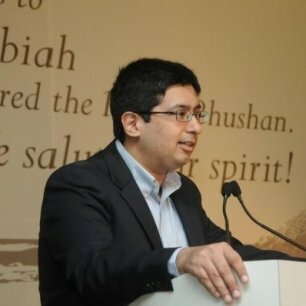 He anchors the activities of the LSE Alumni association in Chennai and is active in various management forums including Young Indians, Association of British Scholars and British Business Group in Chennai. Prior to Social Beat, Vikas was the Marketing manager at TI Cycles (Murugappa Group) handling product management and brand management for the premium range of cycles. In 2012, TI Cycles received the Silver at the Digirrati awards at the Paul Writer Futurist CMO Conclave due to his efforts. Vikas was also instrumental in launching and building India’s first premium bicycle brand, Montra. During his tenure at Murugappa he was also the Executive Assistant to Padma Bhushan M.V. Subbiah, Chairman of the National Skill Development Corporation (NSDC). Prior to Murugappa, he had a 2 year tenure at the Tata’s – with a stint at Tata Interactive Systems in Germany where he handled a marketing role at the global elearning company. He then worked in HR at Taj Group of Hotels in Chennai.